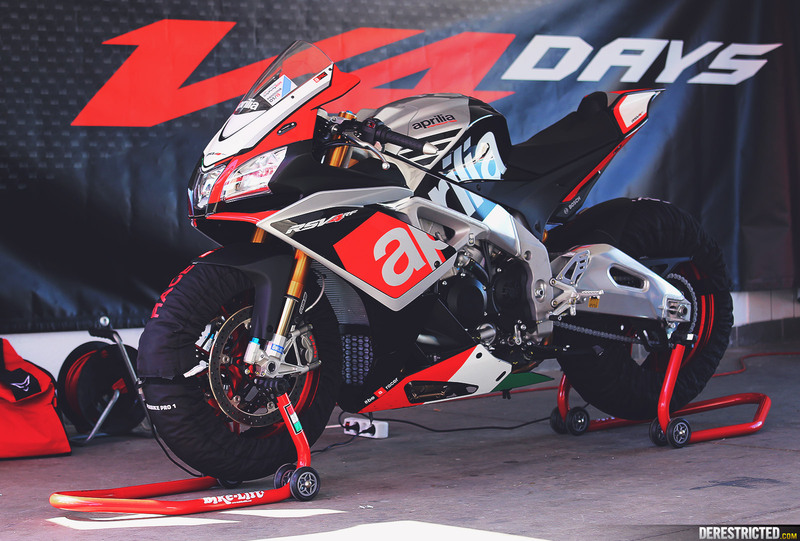 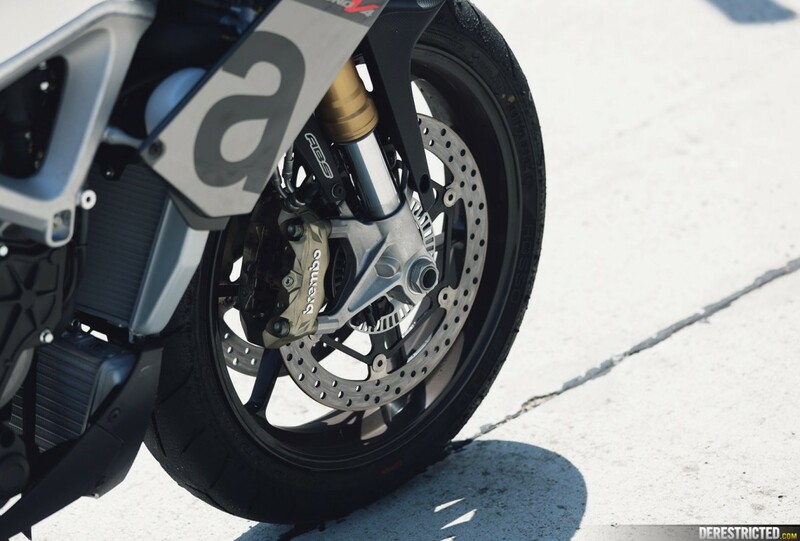 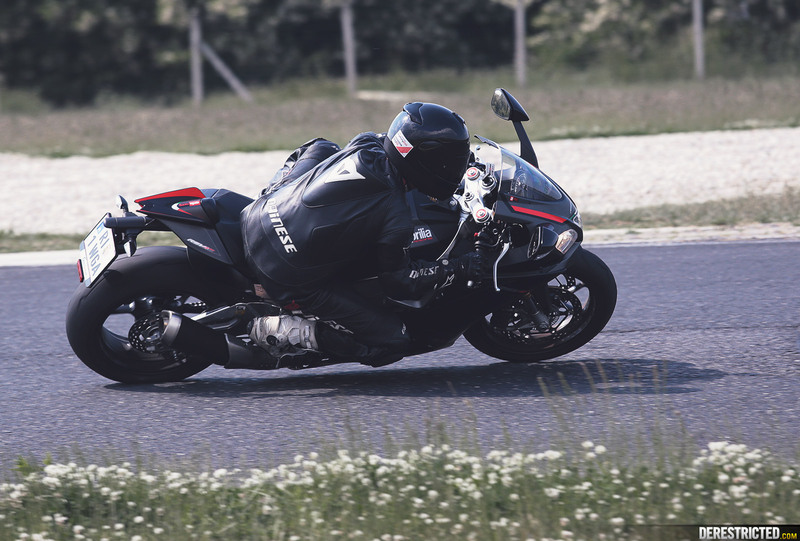 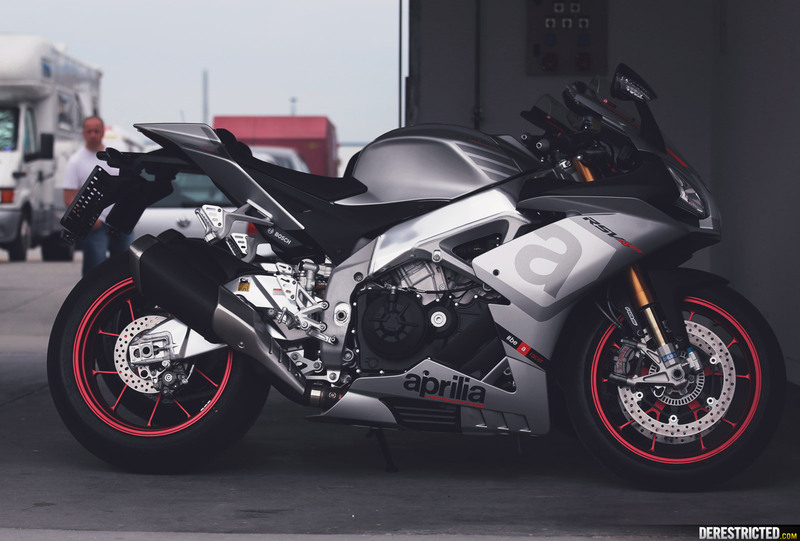 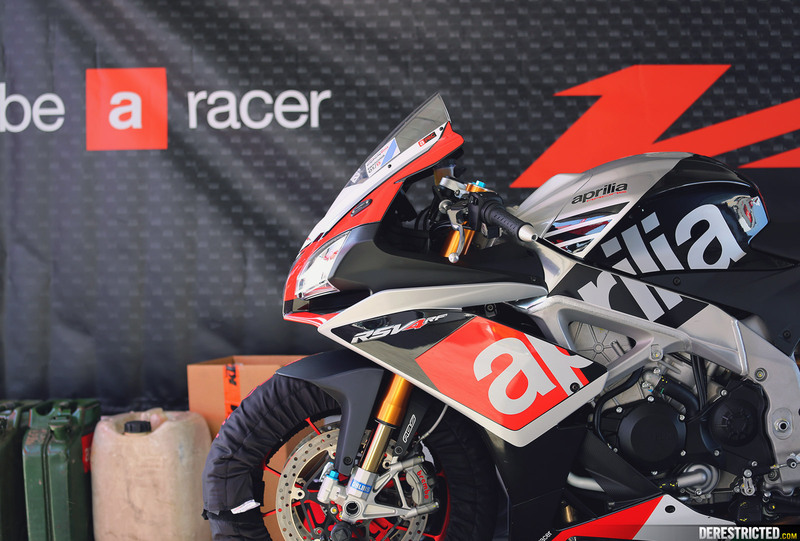 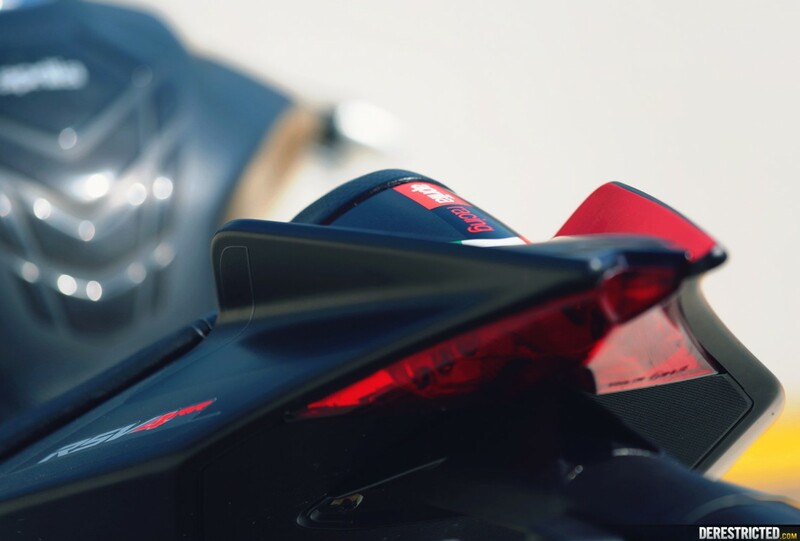 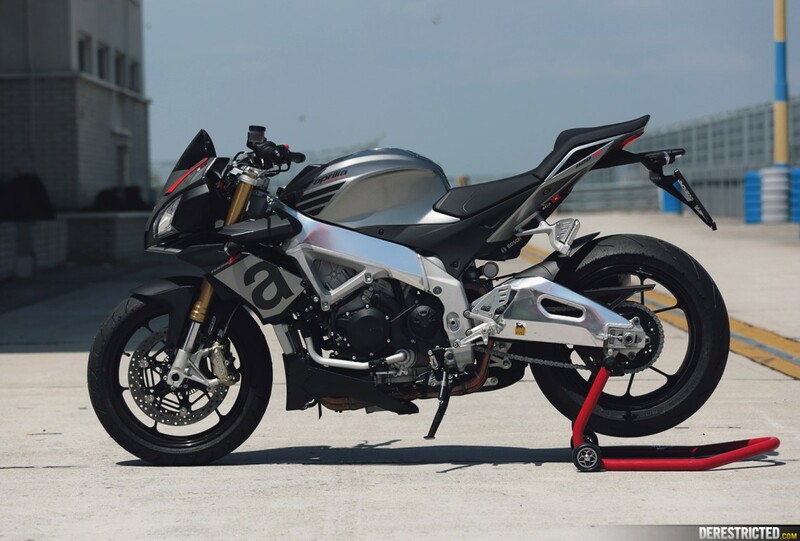 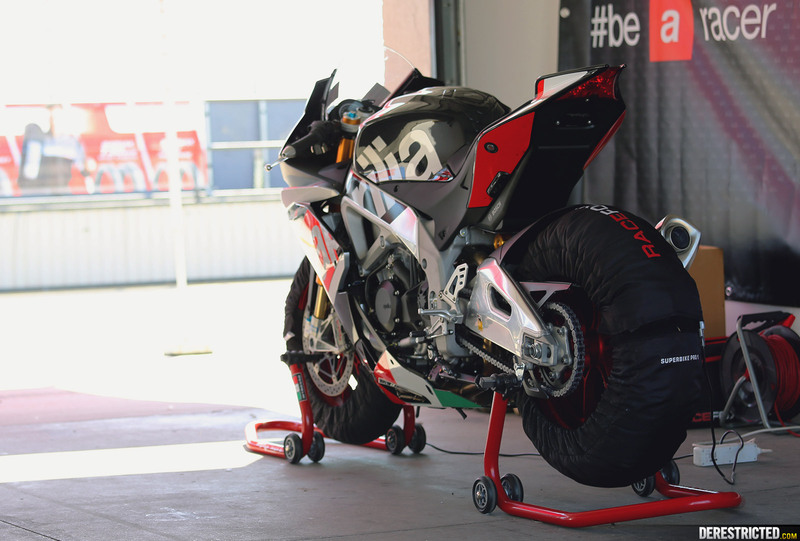 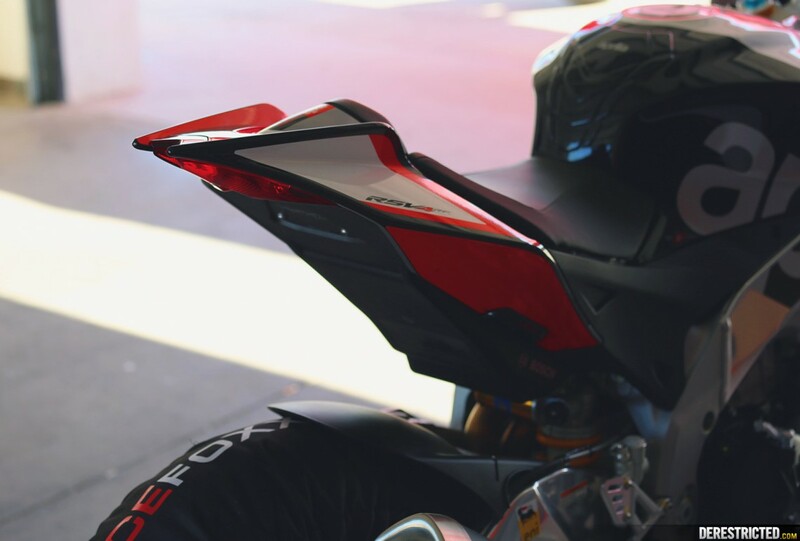 We rode a lot of bikes at the Pannoniaring track day, but the one that stood out most for me was the Aprilia Tuono V4 1100RR. 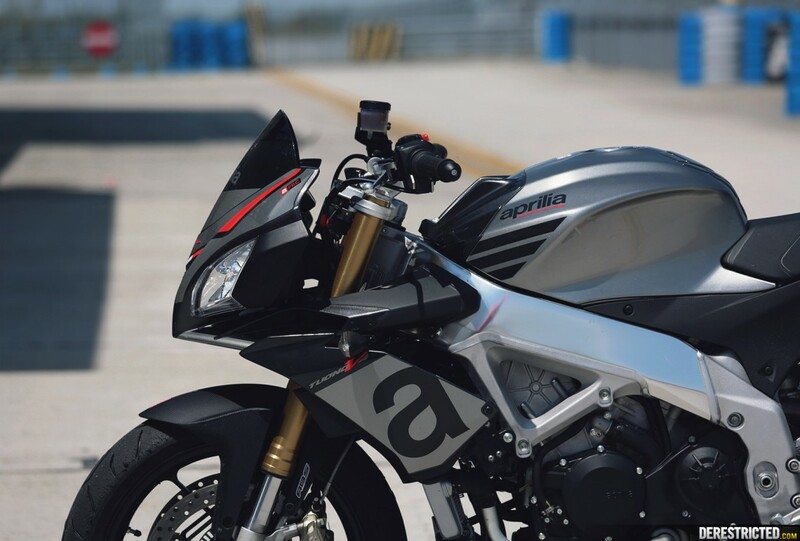 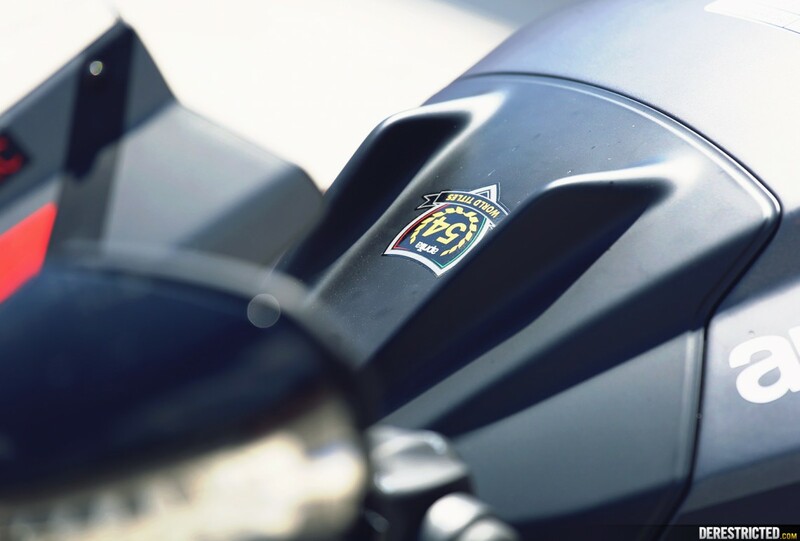 You can be sure that any bike with two R’s after a 4 digit CC number is going to be designed to do some serious Biz and the Tuono despite having been around for a while now is absolutely amazing. 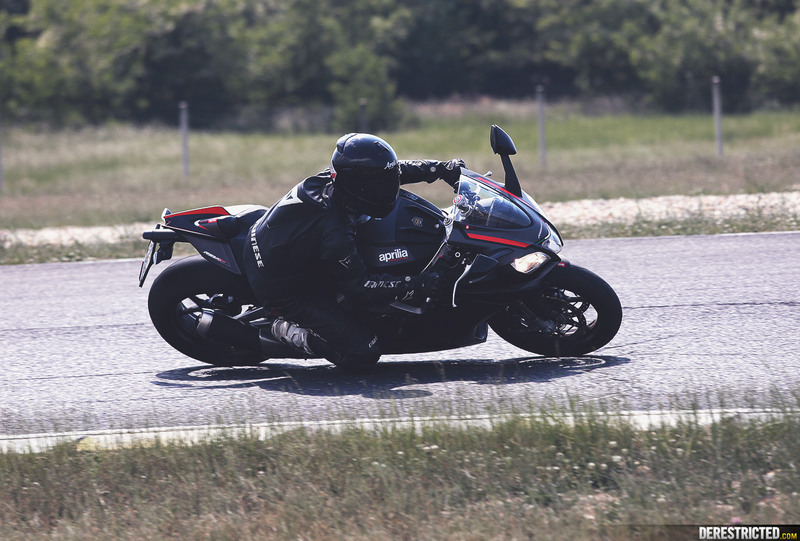 I had never ridden anything like it before and was blown away by literally every aspect of it. 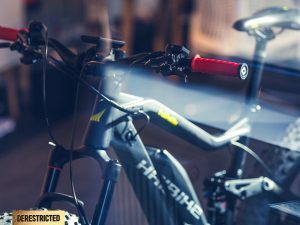 An abundance of torque makes it super easy to ride, and the motor just screams when you crack it open. 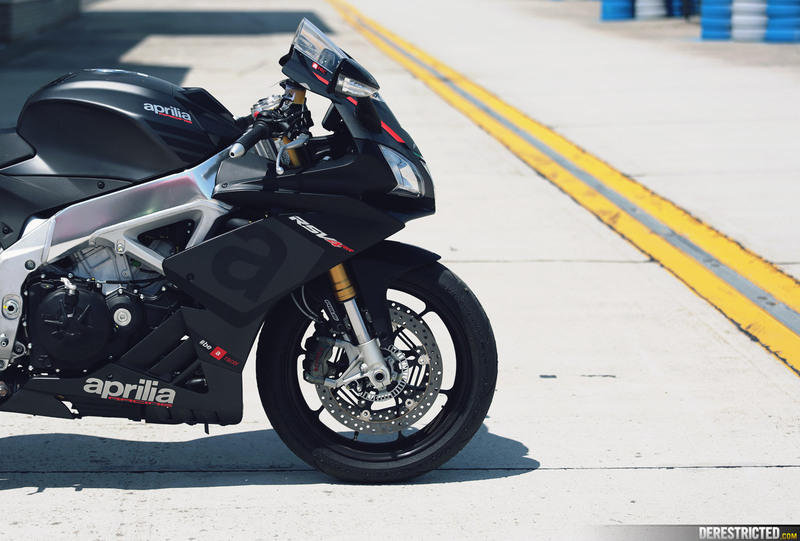 The sound is completely addictive as you quick shift up through the gears. 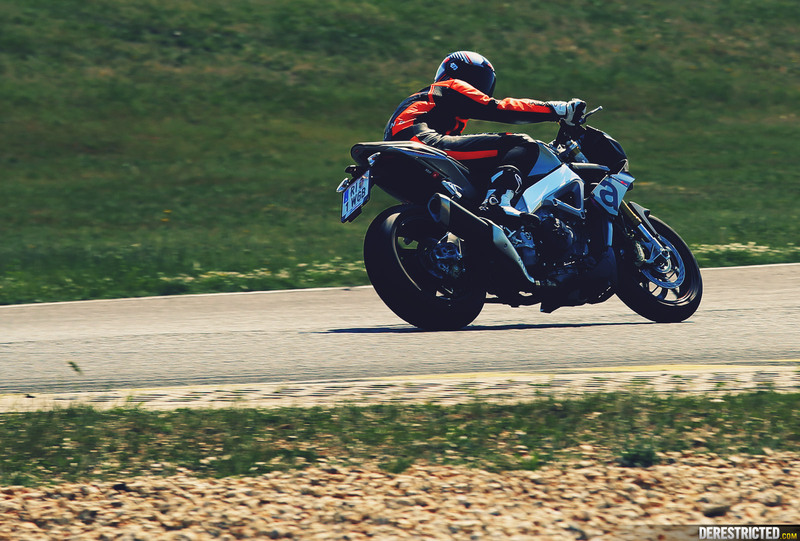 A quick shift that smooth is also something I had never felt before, no need to clutch as you upshift. 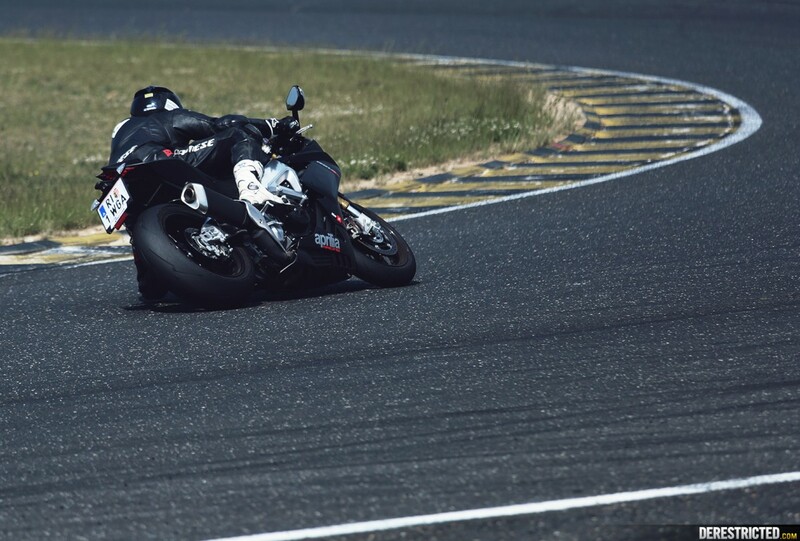 Buttery smooth shifts even wide open. 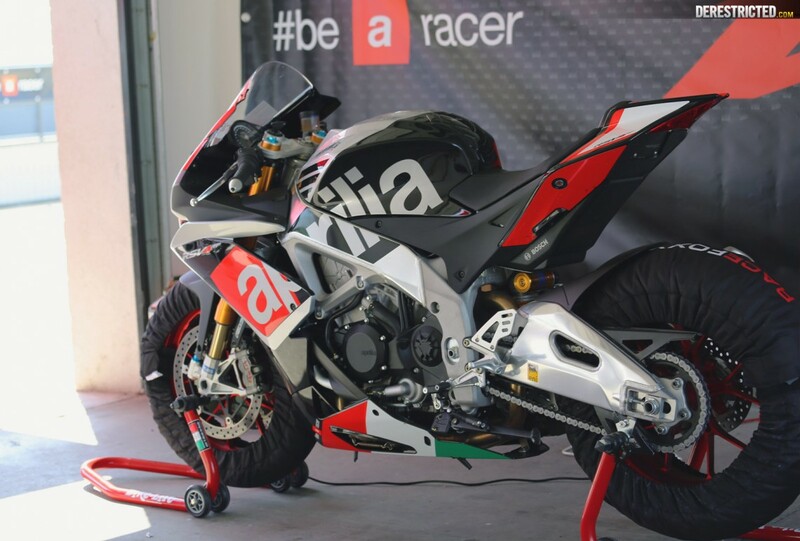 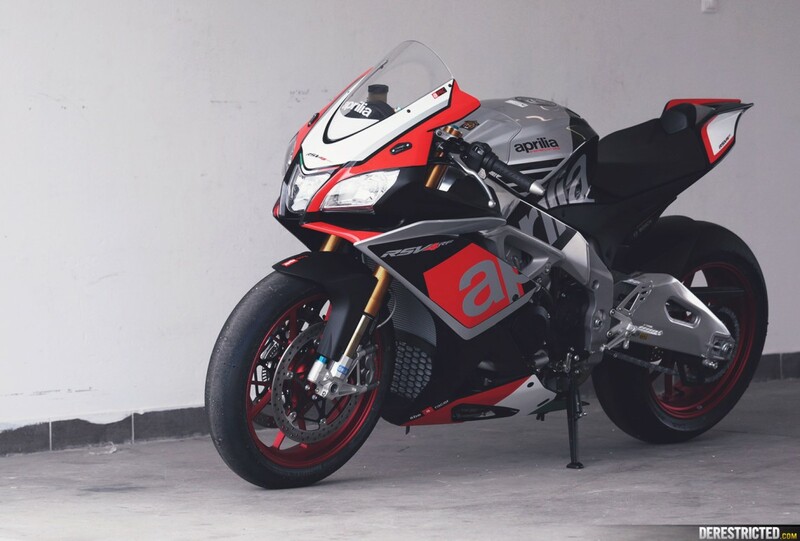 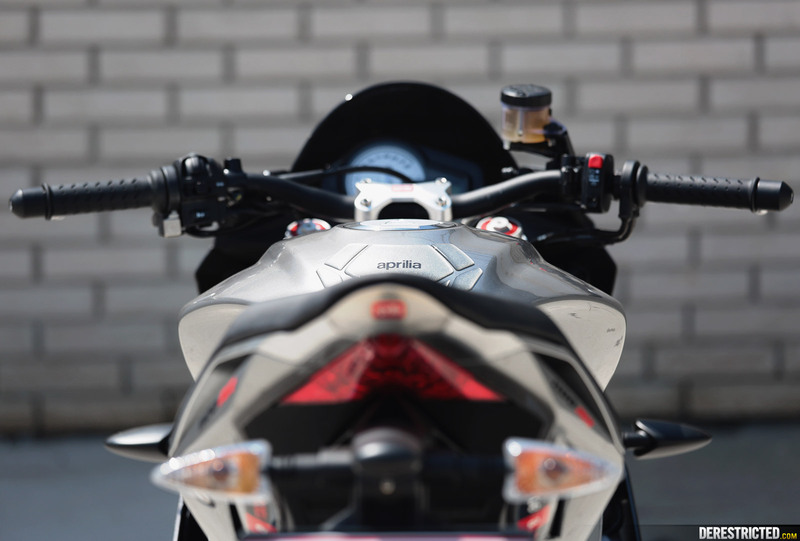 Aprilia have 54 world titles under their belt and you can feel that heritage all the way through this bike, down to the brilliant chassis and handling. 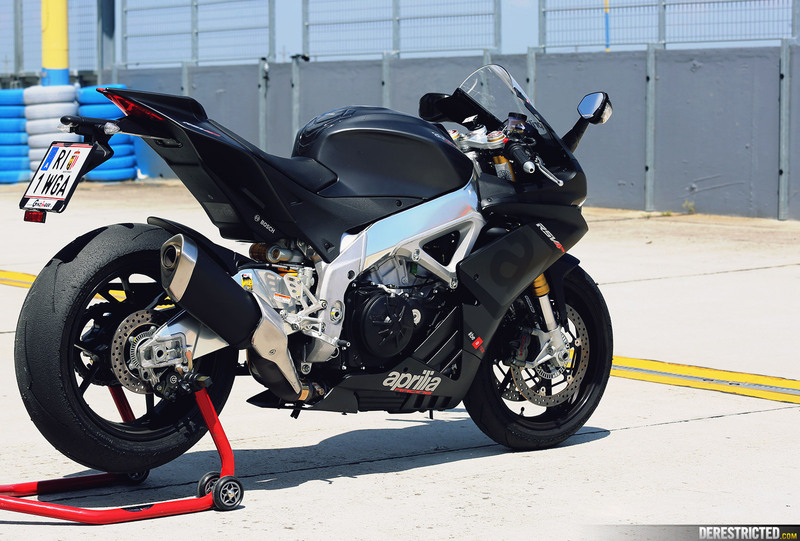 The looks don’t set me on fire with excitement but the bike still looks good and has some nice detailing. 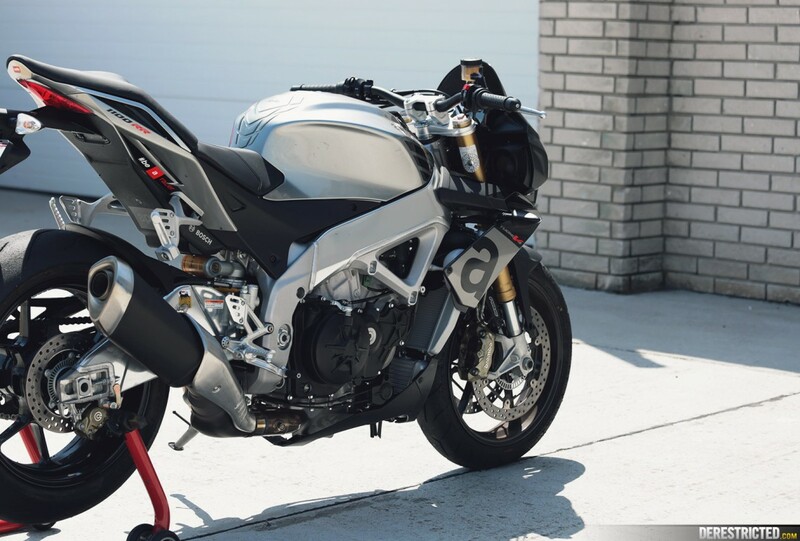 175 Horsepower is a lot of power anyway, but on a naked bike without a fairing it feels like even more. 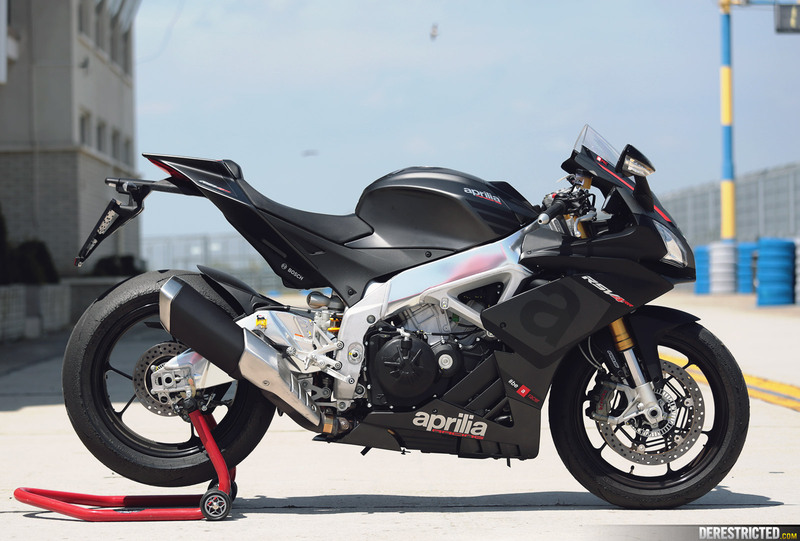 I wish I had got to try the 2 RSV’s they had there but they were in high demand so will have to wait for next time. 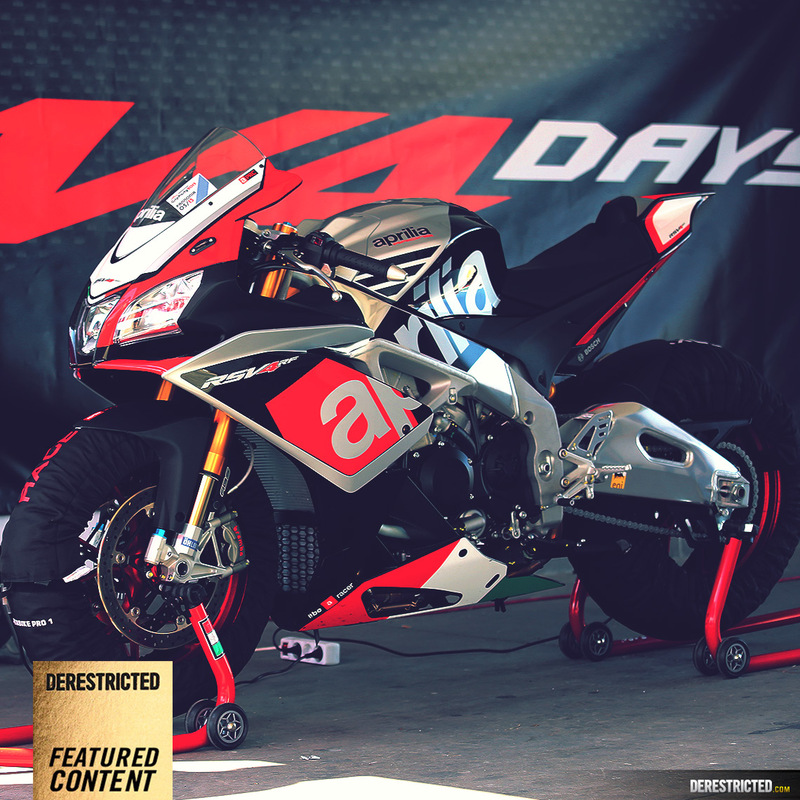 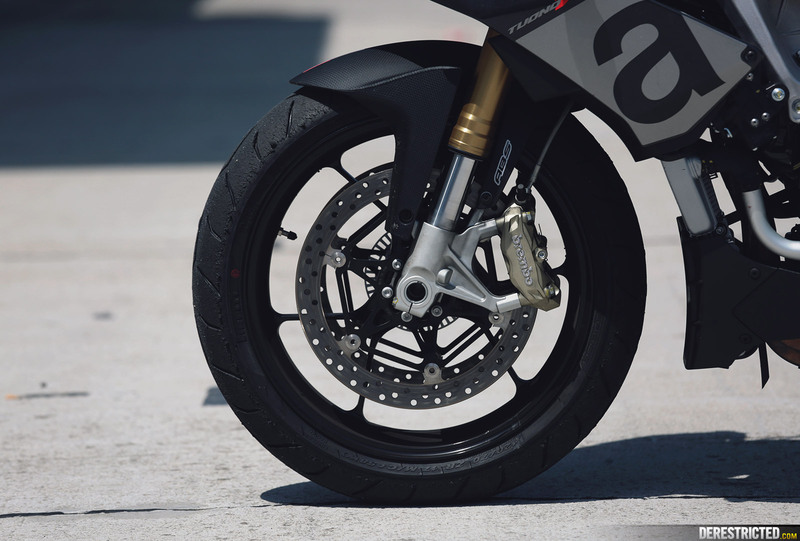 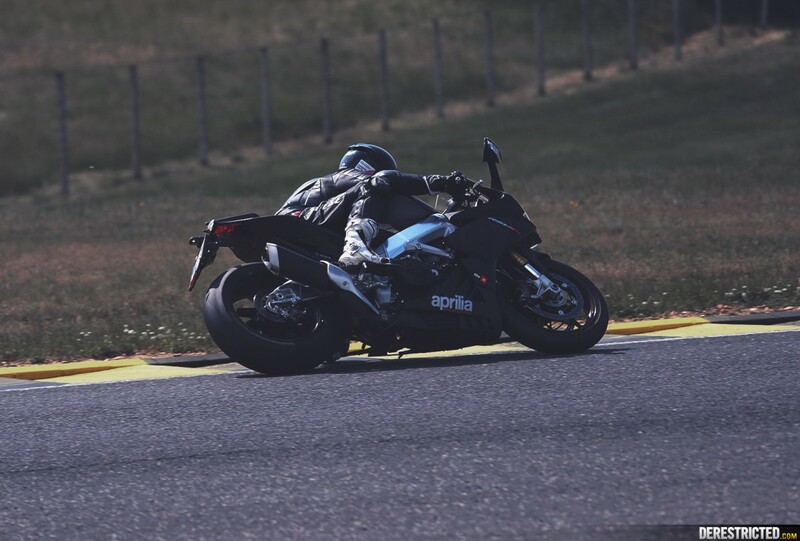 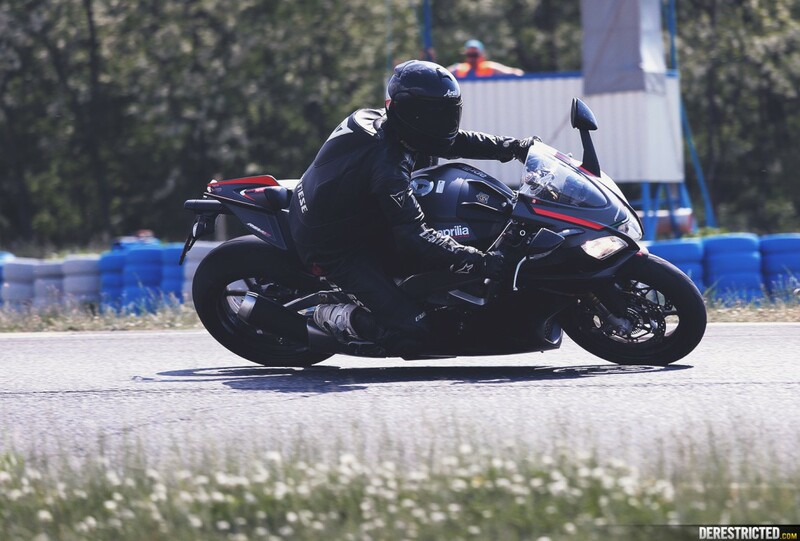 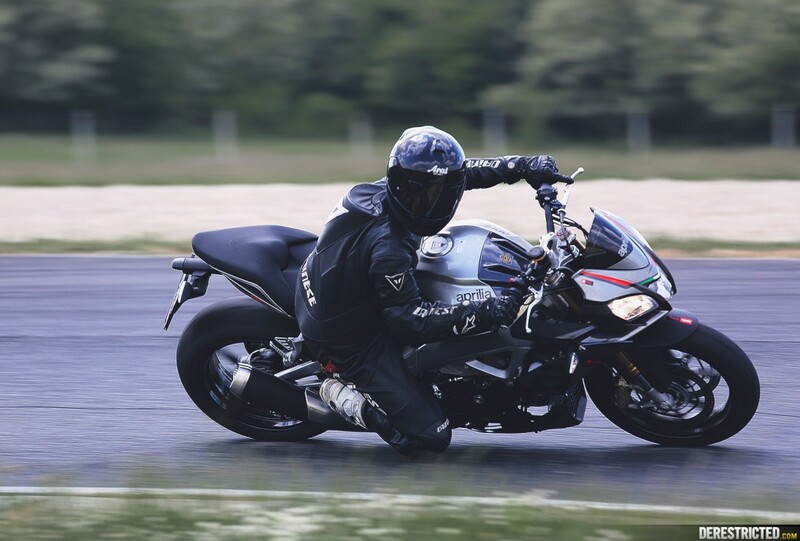 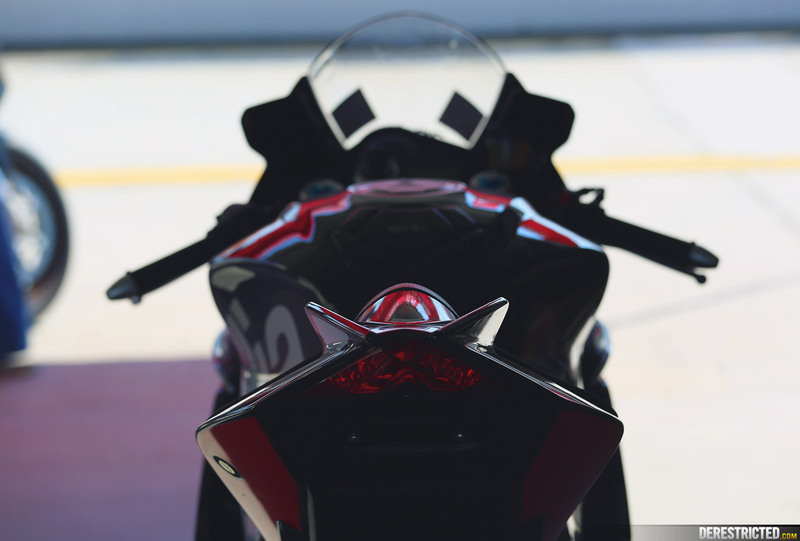 1000ps who were running the track day put together a thorough review of the bike here if you wish to watch.